You can dive at about 40 different dive sites in the Komodo National Park and below here you will find a brief description of some of those we visit during our daily excursions. For more information on sites you can visit on a dive safari or liveaboard you may refer to the Komodo National Park official website: www.komodonationalpark.org. Remember however that this is just the tip of the iceberg since there are many more dive sites yet to be discovered. The adventure goes on! Distance from Labuan Bajo: 28 km. Outline: drift dive running along amazing overhangs between 15-30 m with beautiful coral gardens at the end of the drift. 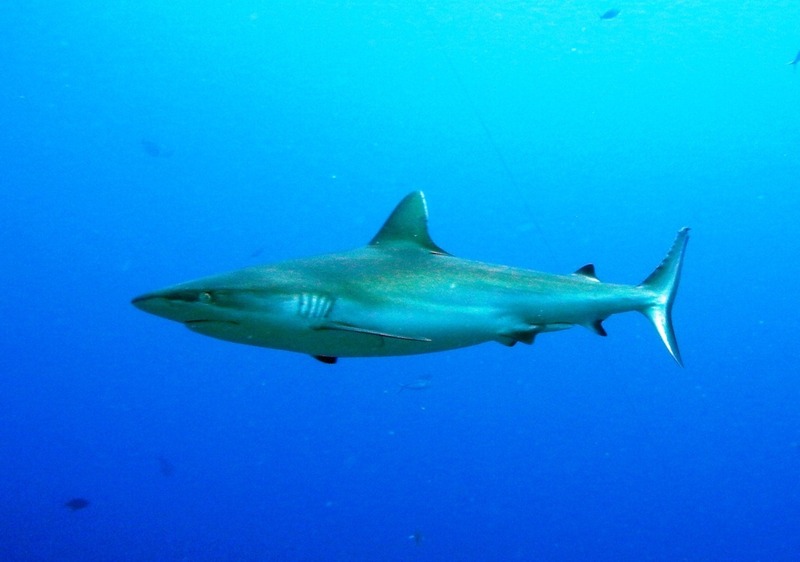 Highlights: black tip sharks, barracudas, snappers, trevally, wrasses and turtles are usually spotted during this dive. 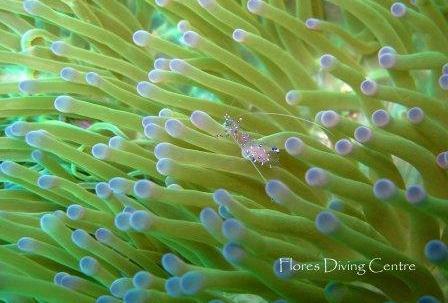 The coral gardens are a paradise for macro lovers. Tips: the current can be quite strong at times and, depending on it, the dive can start from the east or west cape of the little island. Distance from Labuan Bajo: 27 km. 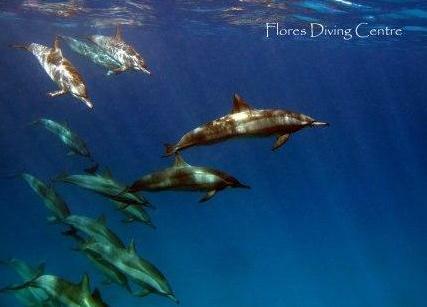 Outline: another amazing dive site with a beautiful coral garden along the western side of the island. With falling tide we enter the water at the north western tip of Siaba Besar and drift along the slope to a depth of 18 to 25 m.
Highlights: white tip sharks, barracudas, schools of fusiliers and sweet lips. 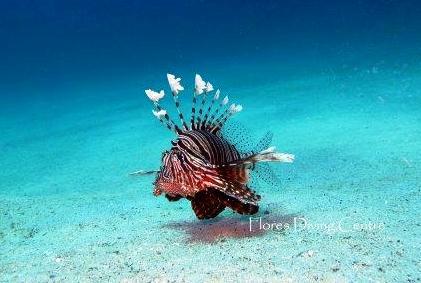 Many turtles and critters can be spotted here, as well as the rare flamboyant cuttlefish and mandarin fish. Tips: this site can be dived both with rising and falling tide but the falling tide is the best, with currents pushing southward. Distance from Labuan Bajo: 25 km. Outline: one of the most amazing coral gardens in Komodo, this dive site can be an alternative to Tatawa Kecil when the current is too strong. Highlights: amazing spot for macro-photography as critters and invertebrates are the most interesting here. However you can also see napoleon wrasses, turtles and black tip shark. Tips: usually with no current you return to the starting point at the end of the dive, while in stronger current conditions the boat will be waiting in the bay at the southern tip of the island. Outline: fantastic dive site where currents can be strong. White-tip and grey reef sharks, giant trevally and tuna are commonly seen here. Highlights: impressive variety of species. On the southern side at about 24 m, a small cave hosts a colony of pygmy seahorses. 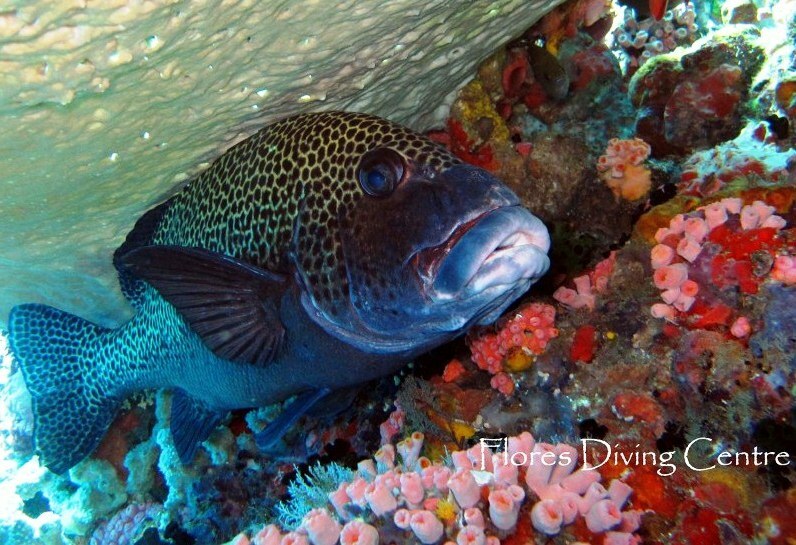 On the northern side at about 22 m two big coral outcrops are a cleaning station mostly used by sweetlips. Tips: usually excellent visibility. Wonderful snorkelling too. Distance from Labuan Bajo: 20 km. 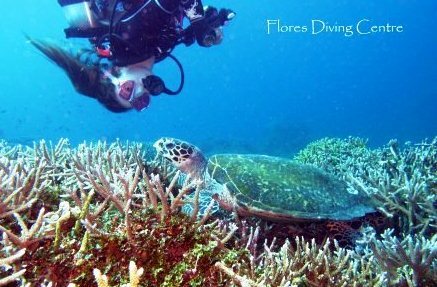 Outline: another easy wall dive with a beautiful coral garden. Highlights: a macro site but you can also see bigger stuff here, such as sting rays, snappers, groupers, barracuda and turtles. Tips: if you follow the reef further to the north-west you will reach a headland where the slope gets deeper and steeper. Distance from Labuan Bajo: 30 km. Outline: probably the most famous site in Central KNP. Recommended for experienced divers only since currents can be challenging here. 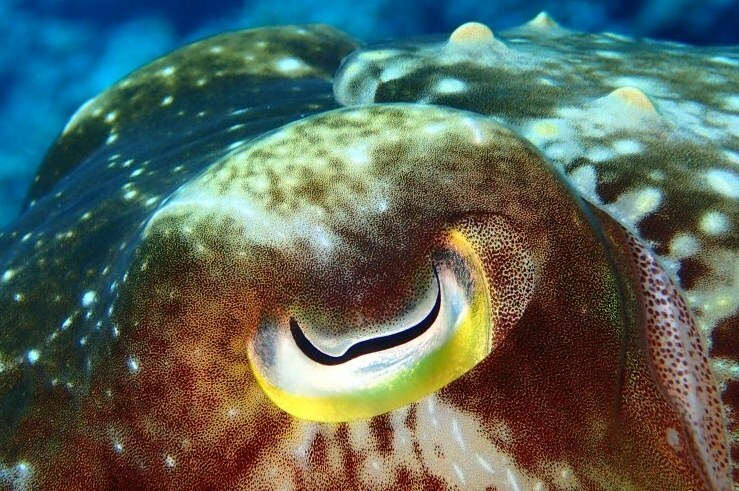 Highlights: giant trevally, giant barracuda, big groupers, sweetlips, angel fish, parrotfish, moray eels, crabs and plenty of nudibranchs in the shallows. 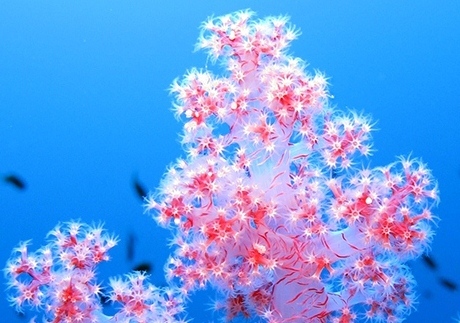 Stunning corals everywhere. Deeper down you may see grey and white-tip sharks, large napoleon wrasses, dogtooth tuna, big schools of rainbow runners and the occasional passing manta ray. Tips: better dive here during slack tide when there is no much current and conditions are easier. Outline: fantastic drift dive on a huge reef shoal. Highlights: manta rays and reef fish. Tips: excellent site also for snorkelers. Outline: this is the lovely house-reef of Mawan island that also hosts a manta ‘cleaning station’ about 8-9 m deep. We usually enter the water in front of the beach and go right or left depending on the current, zig-zaging our way up to the cleaning station to spot the mantas. Highlights: excellent place for all sorts of critters with plenty of reef fish and occasional pelagics, stingrays and eagle rays. 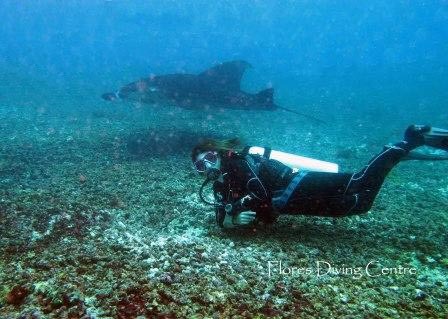 If mantas are present this is an awesome place to see them as they tend to hover above the cleaning station for hours while divers sit on the sandy slope enjoying the show! Tips: mantas can get very ‘friendly’ and close-up to divers here so any attempt to chase or touch them must be avoided at all costs. Excellent also for snorkellers. Outline: at the entrance of Loh Buaya bay, this site offers something different from all the others in Komodo. We usually enter the water right in front of the beach to the west side of the bay. Highlights: it may just look like a sandy slope with broken coral and rubble and you may think you ended in the wrong spot but no, this is the best muck dive in Komodo! Carefully exploring the bottom between 8 and 15 m you will find a collection of critters like no other site can offer. A real paradise for macro-photographers with frog fish, sea horses, many species of pipe fish, dragonets, mandarin fish and much more. 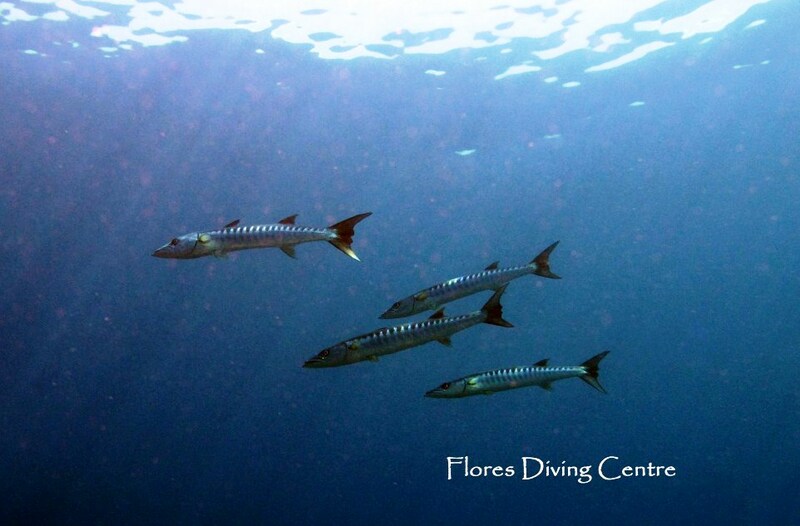 Tips: a strange and different dive site but not to be missed if you think that ‘small is nice’. Distance from Labuan Bajo: 35 km. Outline: very famous spot for experienced divers only. 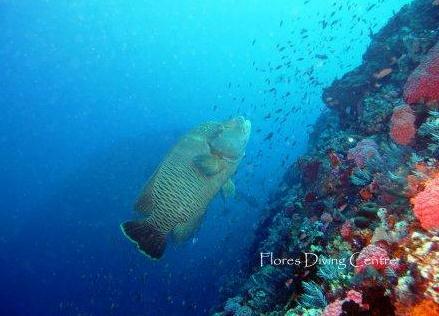 A submerged mound covered in hard coral and teeming with both reef fish and pelagics. Highlights: pelagic fish, grey reef sharks, black- and white-tip reef sharks, eagle rays, and giant trevally. Tips: you start the dive with a negative entry and descend quickly. Prior experience of diving with current is a must. Outline: semi-submerged mound covered in beautiful hard and soft coral. For experienced divers only. Highlights: pelagic fish, eagle rays, crocodile fish and bamboo sharks. Excellent for macro life too. Outline: another great drift dive along the channel between Gili Lawa Laut and Gili Lawa Darat. We usually start from the western tip of Gili Lawa Laut and swim along the northern edge of the cauldron before we enter the channel drifting through the narrow passage and ending the dive on the eastern side of the island. Highlights: sharks, big pelagics and whirling schools of fish inside the cauldron. Beautiful coral gardens at the end of the drift. Tips: prior experience of diving with current is a must. Excellent snorkelling site but only suitable for expert swimmers due to the strong currents.